Leftist, anti-British, anti-capitalist and corrupt – why is Oxfam getting millions from a Tory government? An astonishing aspect of the aid agency scandal is that few in the press or the political establishment have properly questioned this multi-billion-pound scam before now. Oxfam, when it was founded in 1942, was driven by Christian principles of helping our fellow men. No longer. The stark reality is that almost all the charities, trusts, and organisations involved in aid are now run by socialist ideologues whose driving force is predominately anti-capitalist, anti-British, pro-climate-change dogma. This is exactly the approach that has led Venezuela to the brink of disintegration. Exhibit A illustrates the catalogue of aid agency madness. It is the glitzy Oxfam policy document released on January 16: a clarion call to attack billionaires and the economic system that created them couched in the language of Momentum. Why on earth is a so-called Conservative government supporting such a rats’ nest of socialist propaganda? It is driven by self-righteous zeal. So much money is being ploughed into this sector that it has become a gilded cage. In that framework, the sort of corrupt self-entitlement and bullying now coming to light are inevitable by-products. At the centre of the UK’s £13.5billion foreign aid and aid agency ‘development’ enterprise is the lavish Oxfam operation and its palatial Oxford HQ. An examination of the massive conglomerate’s chairman, former BBC high-flyer Caroline Thomson, is a key to its nature. Her Christianity-free, jargon-driven multi-national empire derives half its income from government funds – predominantly the EU, a raft of agencies of the UN and the British and Swedish governments. It is not, therefore, truly a ‘charity’ at all, but an arm of the burgeoning global governance and rights industry. And who is Ms Thomson? Her background speaks volumes about the organisation and aspirations of the enterprise she chairs. She began her career as a BBC trainee in 1975 and rose – via a spell as political adviser to arch-Europhile Roy Jenkins – to become the Corporation’s chief operating officer. In 2012, she was granted a £670,000 pay-off when George Entwistle thwarted her bid to become director general. Her credentials for her roles with the BBC and now Oxfam are exactly as might be expected. She is the daughter of the late Lord Thomson of Monifieth, a Labour peer, the UK’s first European Commissioner and later chairman of the former television regulatory body, the Independent Broadcasting Authority. Her husband of more than 40 years is the Labour peer Roger Liddle, who was Tony Blair’s special adviser on European policy, and then moved to the European Commission in a similar role under Jose Manuel Barroso, its then president. His Lordship currently heads a think tank on EU policy and has written a book with Peter Mandelson. Neither of the Liddles, it could be deduced, would vote Tory or UKIP. Ms Thomson joined the Trustees of Oxfam in March 2017 – adding to a clutch of similar roles – and assumed the chairmanship in October. Did she conduct due diligence? A brief visit to the charity’s website reveals the doctrinaire Leftist propaganda within. There are hundreds of documents on ‘equality’ (code for anti-capitalist), climate change and ‘women’s empowerment’ (though rarely in Muslim countries, of course). Treatises and projects tackling corruption, providing cheap energy, entrepreneurship and sound business administration are strangely much harder to find. Maybe someone who had worked at the BBC would find these Oxfam doctrines exactly to their taste. And maybe, because such goals are felt by those who uphold them to be the beyond-reproach ‘higher good’, Ms Thomson did not delve much further into how Oxfam staff conducted themselves in places such as Haiti and Chad, and in the UK’s so-called charity shops. Whatever the reasoning, she and the entire body of Trustees are in the line of fire now. The problem, though, comes back to the core issue that virtually all of the development industry now sings from the same hymn sheet in terms of policy and motivation. While at the BBC, Ms Thomson was deputy director of the World Service, whose charity and aid-sector arm is now known as Media Action. Its current boss? That will be Caroline Nursey, who before she assumed her current role was a director (in several different areas of responsibility) at – of course – Oxfam. There is no doubt that aid agencies do carry out some work that is necessary and important, particularly in fast-track disaster relief. But the Nursey/Thomson axis underlines that they do so from within a very narrow, doctrinaire bubble. The BBC is its main propaganda arm, as the projects of their Media Action wing outlined on its website vividly illustrate. Other aid agencies march in lock-step to their version of the ‘higher good’. 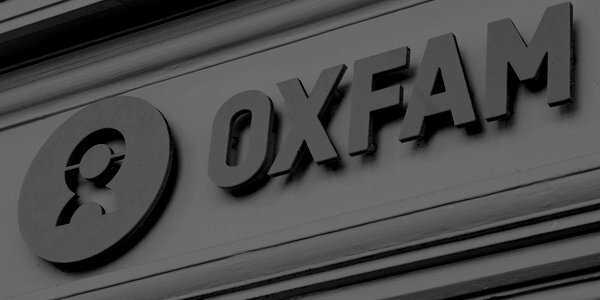 With guaranteed finance emanating from state sources, the Oxfam scandal doubly underlines that they have been scandalously complacent and lazy – if not institutionally blind – towards issues such as sexual abuse. The whole arena needs an Augean cleansing. International Development secretary Penny Mordaunt and the Conservative government have a major opportunity to launch this. But will they? Don’t hold your breath.